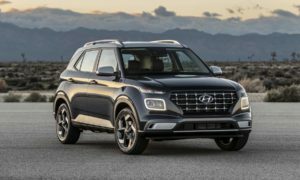 The “Sport” in the term SUV is not gonna make a lot of sense unless you offer a “sporty” variant. Which is why Ford has revealed two more variants of the 2020 Explorer. 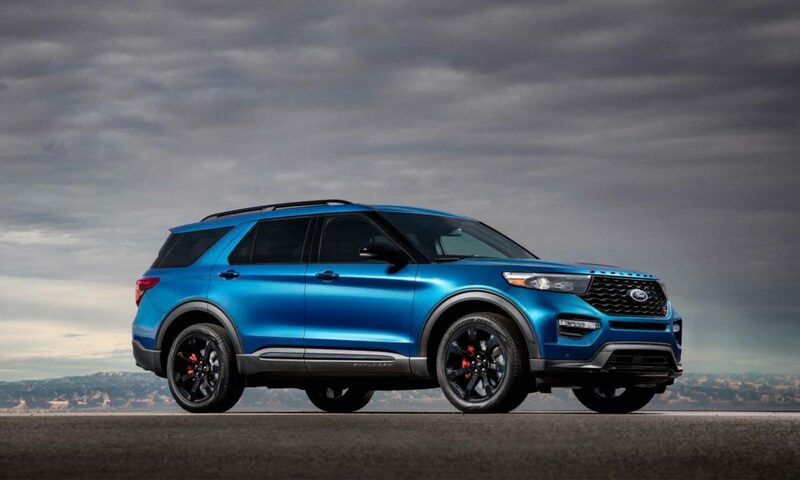 The first one is a new Explorer ST from Ford’s performance division. 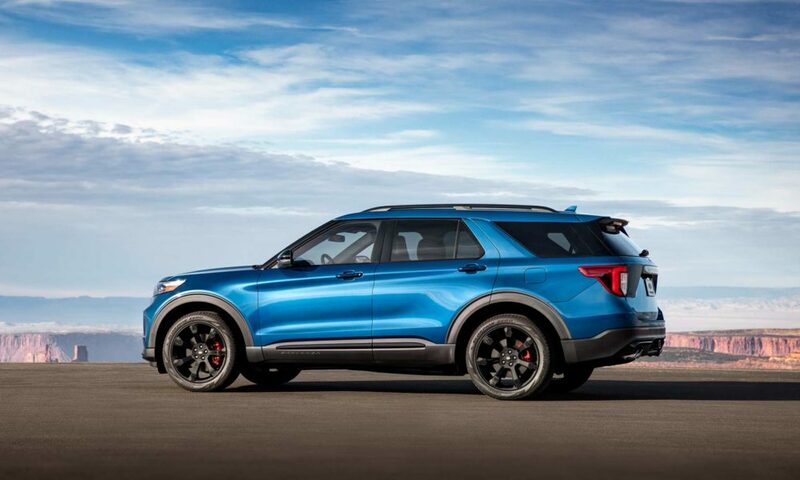 As we can see in the pictures, it gets a tastefully done visual upgrades. 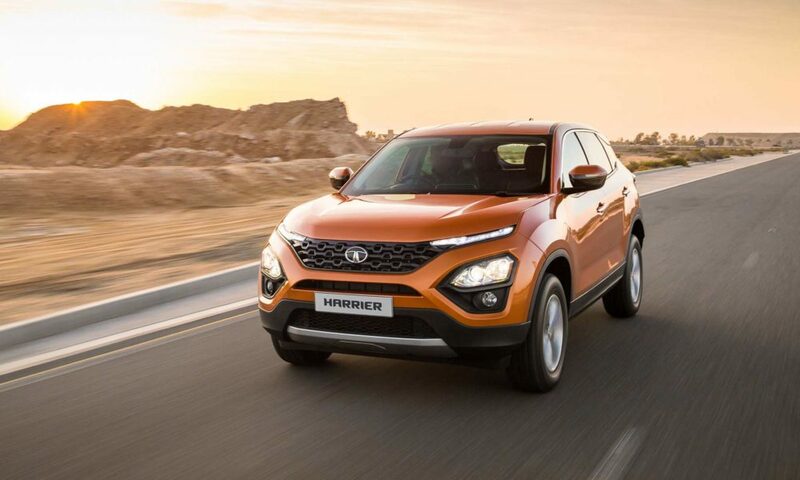 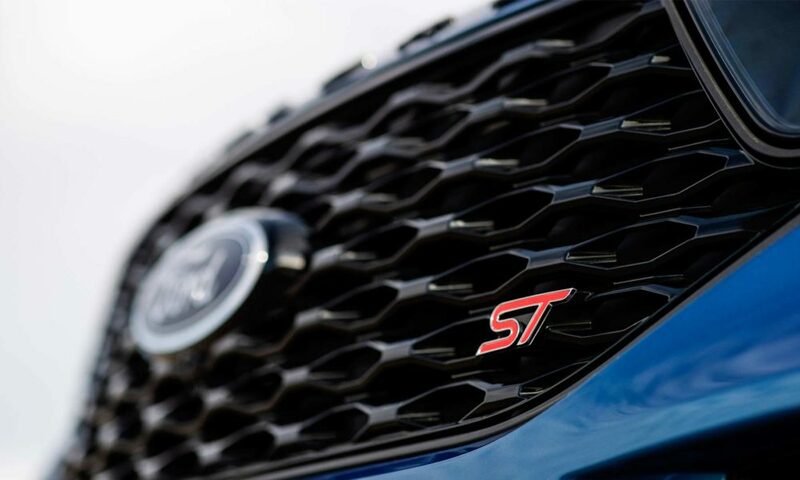 Speaking of which, there’s a black mesh grille with ST badge, black lower body cladding, black liftgate applique, black roof rails, quad tail pipes and 21-inch aluminium wheels with large rotors and red calipers. 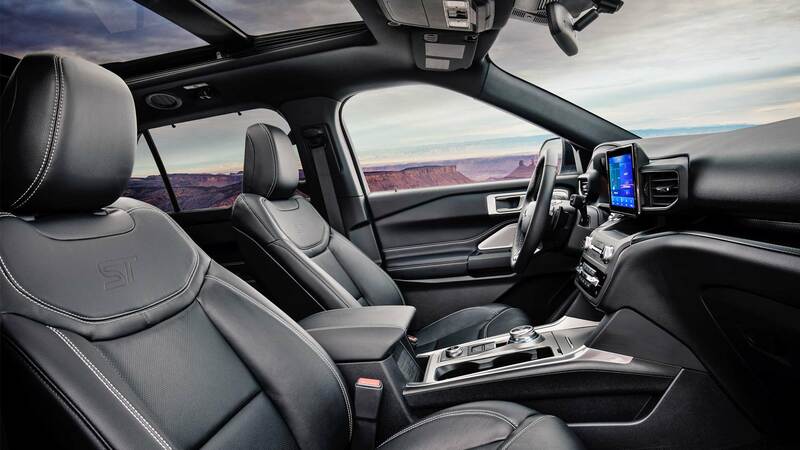 On the inside, a 12.3-inch all-digital instrument cluster is standard. 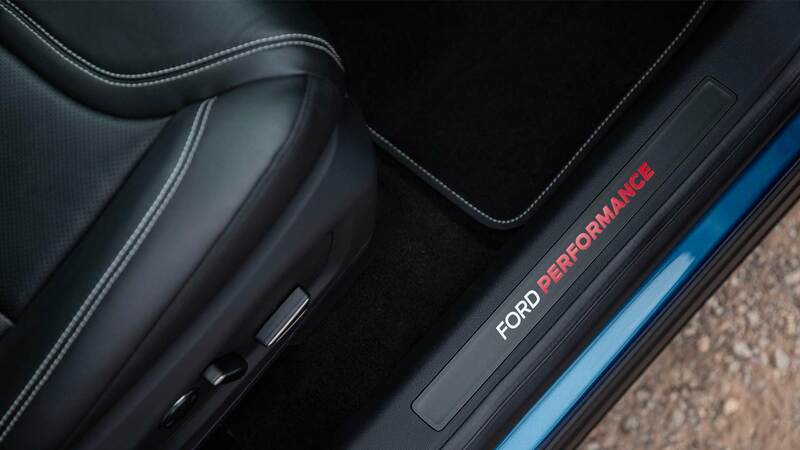 Also included is flat-bottomed, heated steering wheel with embossed ST logo, unique floor mats, leather sport bucket seats with micro-perforation, City Silver contrast stitching & embossed ST logo to complete the sporty feel. 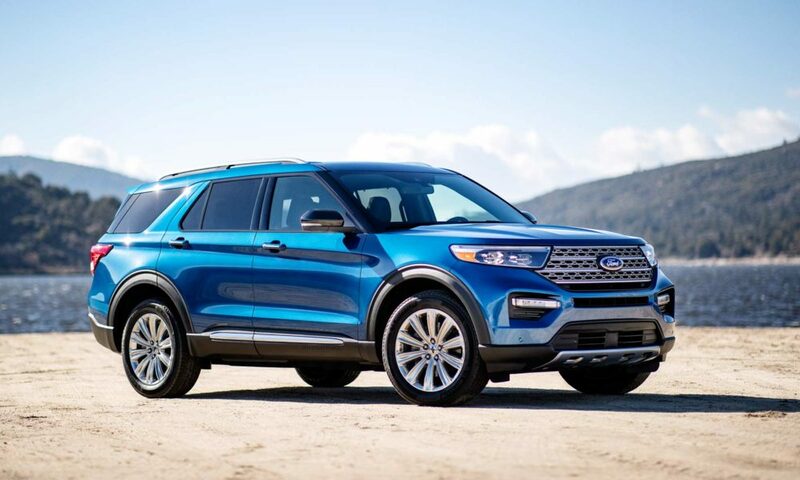 Explorer ST comes standard with a Class III Trailer Tow Package with Cargo Management System and Active Park Assist 2.0 – a driver-assist parking system that takes control of the steering wheel, gas pedal, brake pedal and gear shifter during parallel and perpendicular parking maneuvers with a touch of a button. 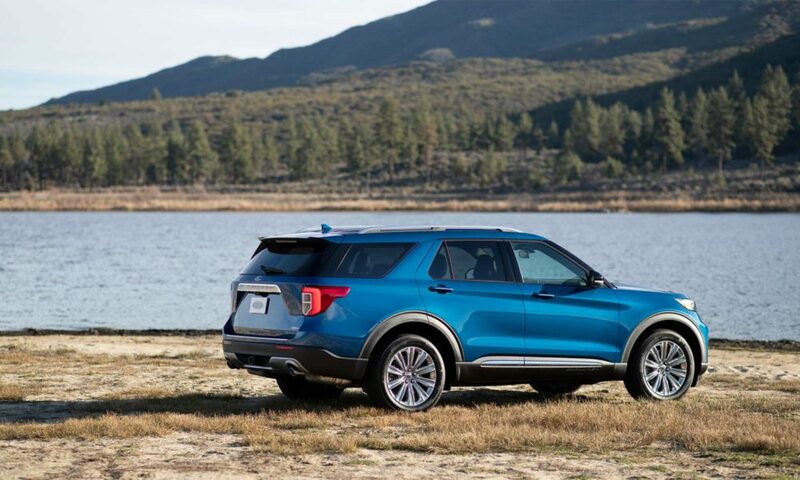 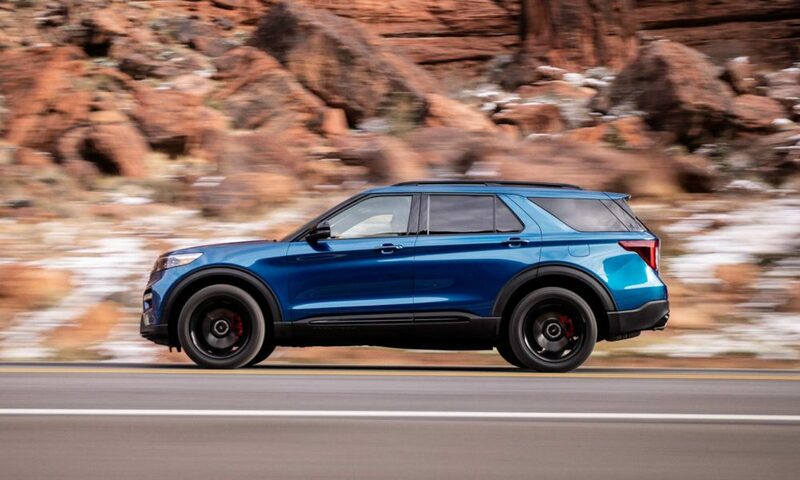 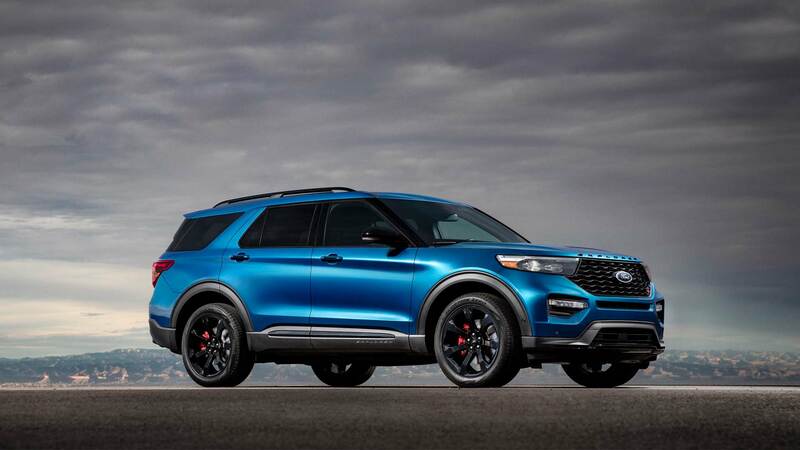 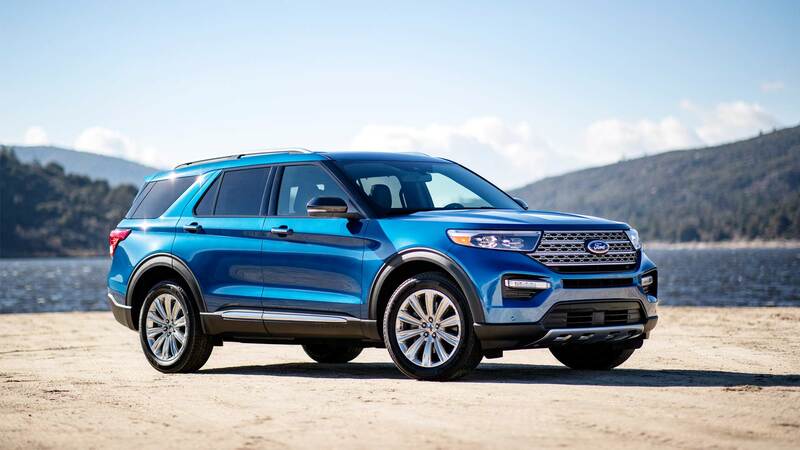 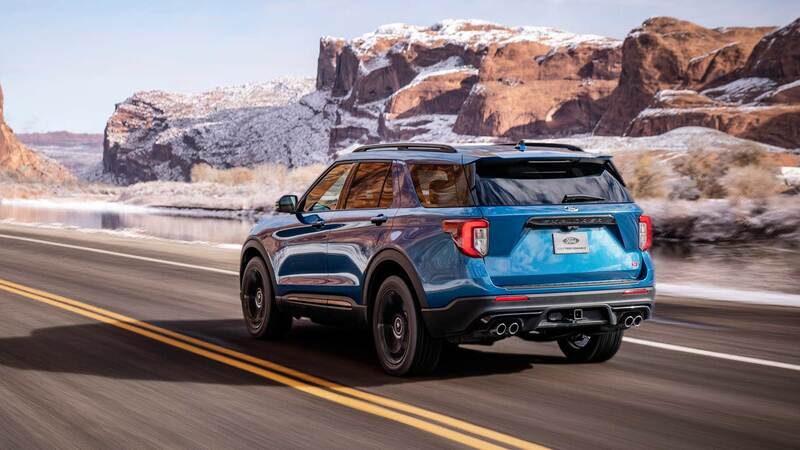 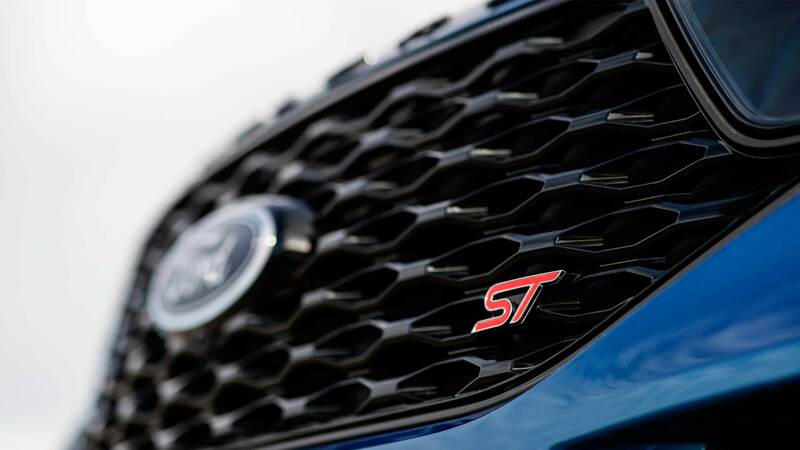 Powering the 2020 Ford Explorer ST is a specially tuned 3.0-litre EcoBoost engine, estimated to pack 400 hp and 415 lb.-ft. (563 Nm) of torque. 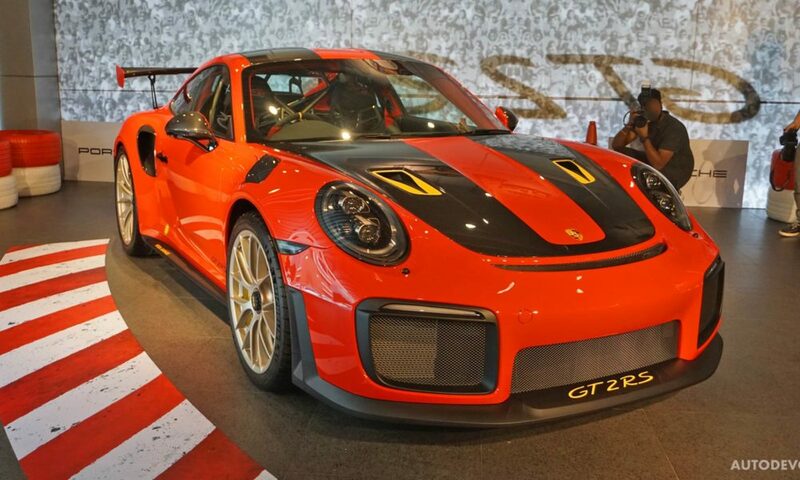 Top speed is claimed to be 143 mph or 230 km/h. 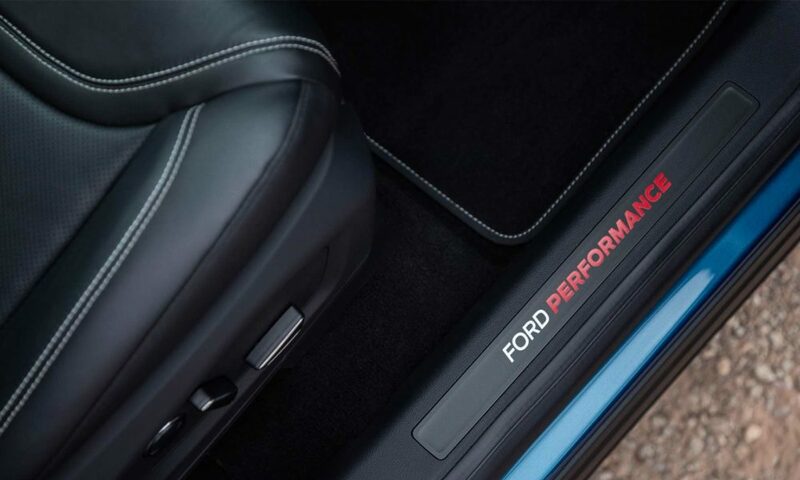 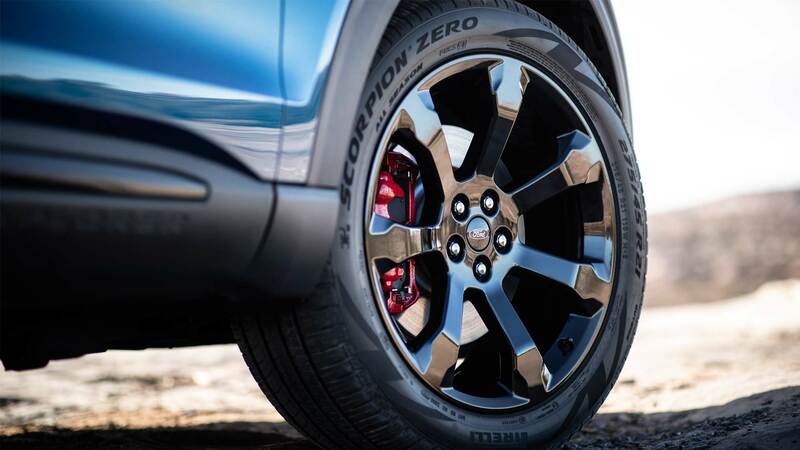 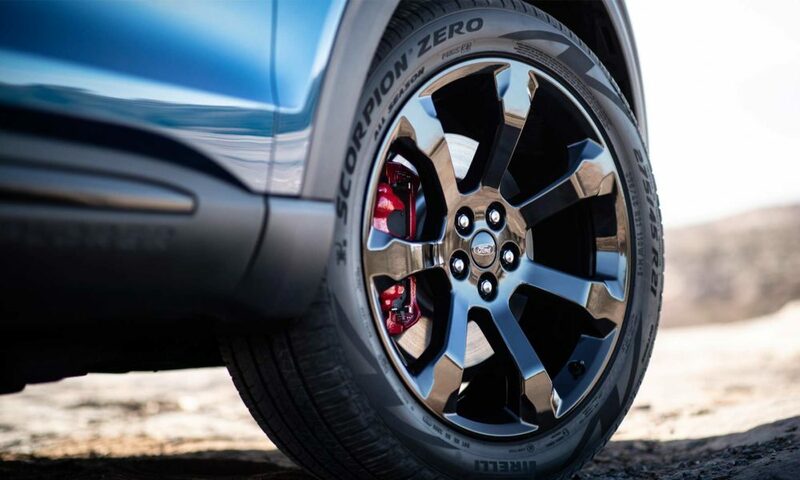 A quick-shifting 10-speed automatic transmission sends power to the all four wheels. 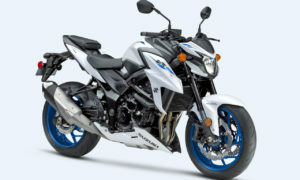 There’s a selectable traction control too. 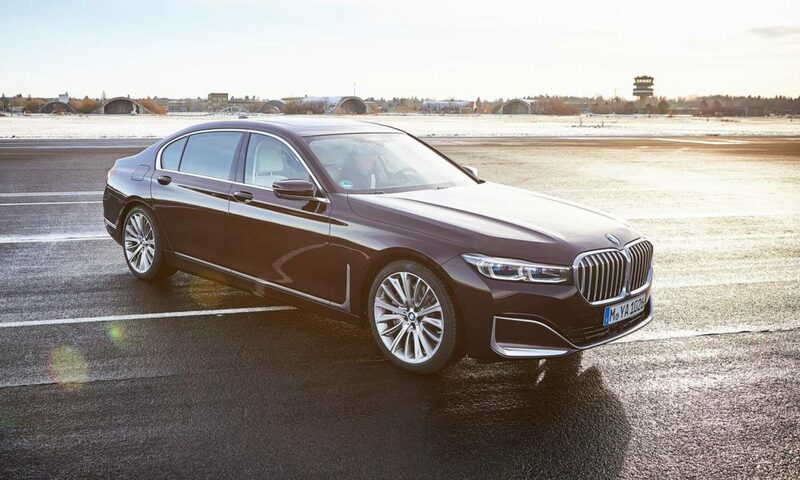 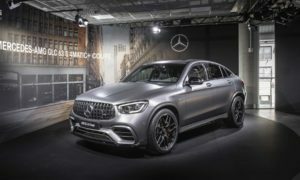 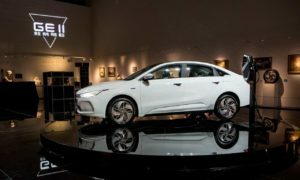 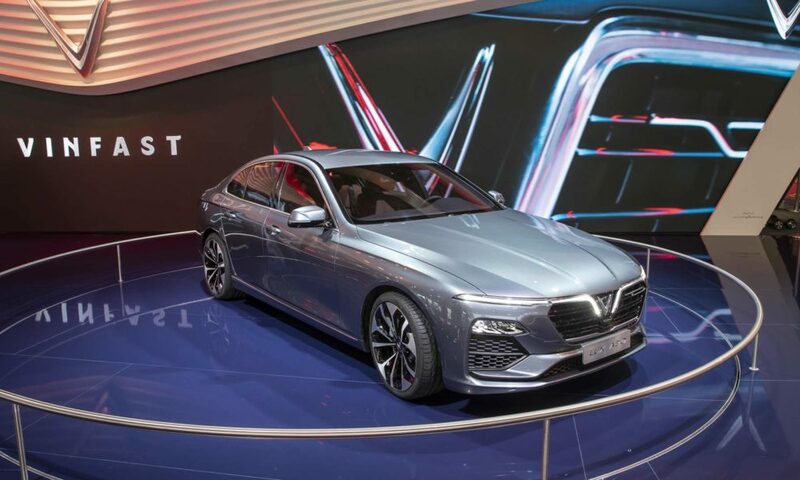 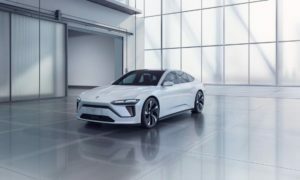 The second new variant is not a sporty one, but a Hybrid, featuring a 3.3-litre hybrid powertrain, estimated to produce a combined system output of 318 hp. 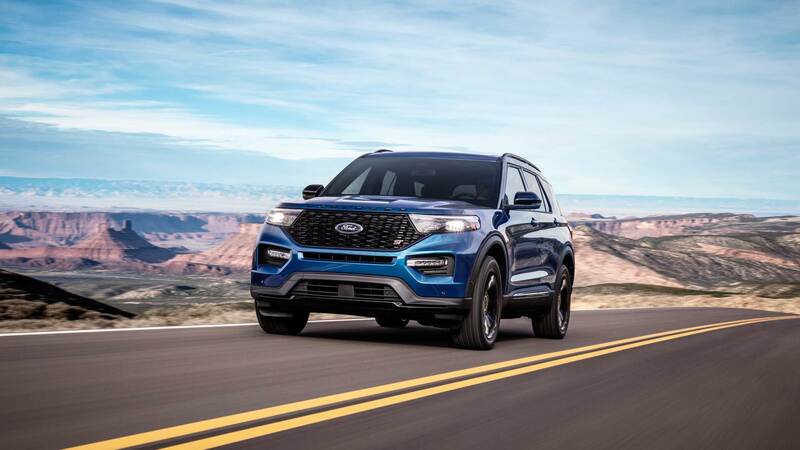 Ford said that an EPA-estimated range of more than 500 miles (805 km) between gas station fill-ups is targeted for the rear-wheel-drive model. Final EPA-estimated ratings will be available later in the year. 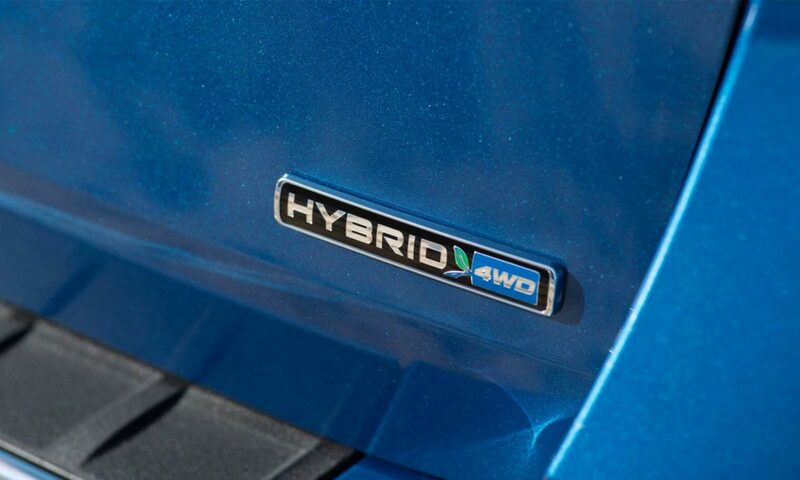 Transferring the power is a new 10-speed “modular hybrid” transmission. 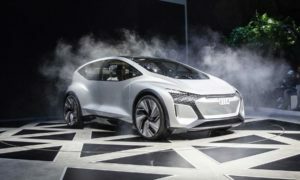 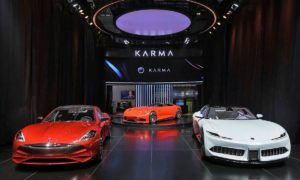 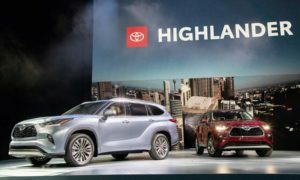 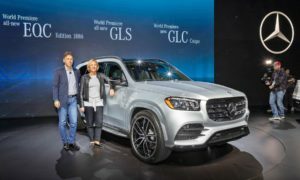 A specially designed liquid-cooled lithium-ion battery pack is built into the chassis, underneath the second-row seats, to preserve cargo and passenger space. 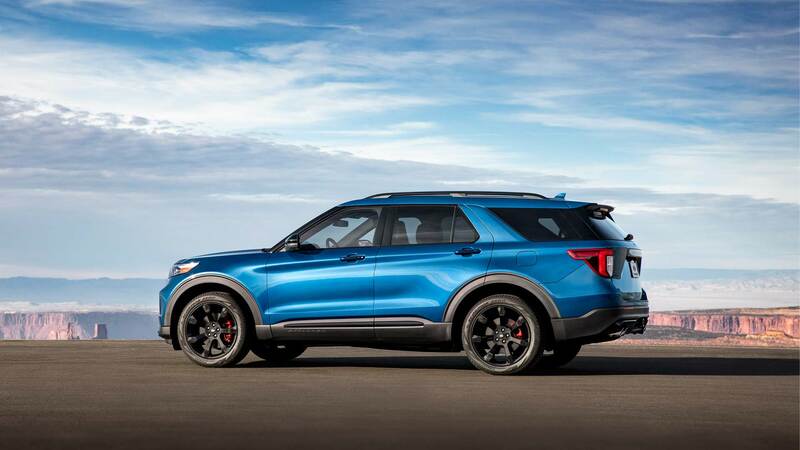 Available in Limited edition trim, the Explorer Hybrid comes with Active Noise Cancellation, Co-Pilot360 Assist+ driver-assist technologies, leather seats with micro-perforation & contrast stitching, second-row heated seats, 14-speaker B&O premium sound system, wireless phone charging pad, and 10-way power adjustable driver and front passenger seats.